While World Sailing has refused to amend or re-run the vote, after three council members claimed that their votes were incorrectly recorded, now a fourth member has also claimed that his vote was recorded incorrectly. 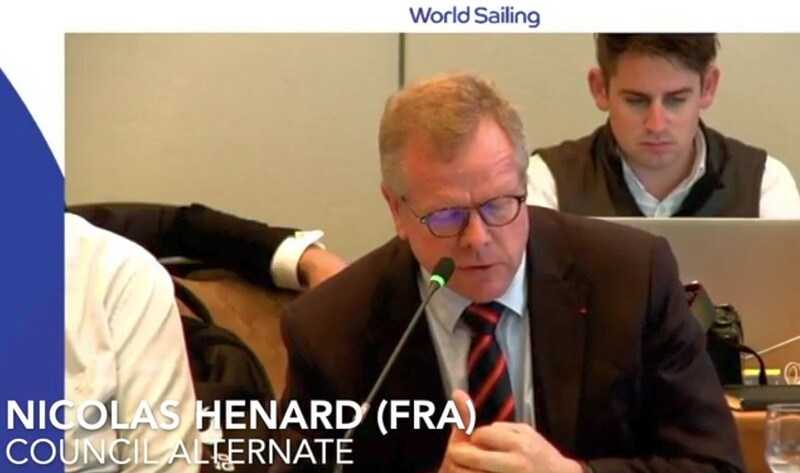 World Sailing has admitted that there were technical problems with the elctronic devices used, but says that these were solved, and that any incorrect votes were due to voting errors by the members themselves. Mr George Wossala (HUN), one of the four who claimed his vote was incorrectly recorded, has also posted on Facebook (see The Sailors Voice) that M. Nicolas Henard, President of the French Sailing Federation, was the final speaker before the vote was taken . . . But, he was not listed as a Council Member or as an Alternate in the minutes, although he was captioned as such in the official video, and he did vote – approving the Mixed Two Person Keelboat submission. It seems that M. Henard was leading a Lobbying team of four or five people in Sarasota, including Corinne Migraine, the vice-president of the Federation competition-performance department, in charge of offshore racing. M. Henard described to the sailing newsletter Tip & Shaft on 13 November how . . . The World Sailing Board, after its refusal to change the vote, has passed the decision to the Constitution Committee, to assess the legality of the vote. No response from WS to a request for information at time of posting.